This popped up on my wall this morning .. thought I'd share. I see ones like this pop up for SL as well. By the way, these pop up on my personal FB account not one made for an avatar. By the way, these pop up on my personal FB account not one made for an avatar. Has your personal FB done a like or follow on one of the SL / Sansar related pages or groups? 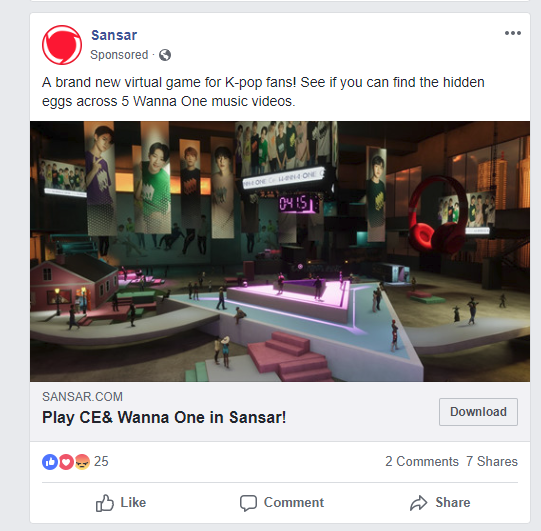 I've never seen an SL or Sansar ad on my personal FB page. I've never liked, followed or even searched for anything Linden Lab related with my personal FB account. They must be gathering information from another source to associate it with my account. I know anytime I google for anything shopping related similar items show up on my FB wall. It's insidious. I do visit the Blueberry and Strawberry Singh FB pages frequently though, and I'm always logged into FB. So that could be it. That would be enough to do it. FB tracks every page that you access and targets ads and such to those things -- similar to how Amazon will show ads related to anything you have ever even looked at on Amazon. apparently this is an intended feature that SL implemented. Not a bug. and they are not going to remove the requirement unless other people object to being required to login to facebook in order to leave comments in SL destinations. Ive made them aware of this discussion and noted the jira bug. If you dont want to be required to use FB with your SL then please let them know. You can go to the jira bug report and elect to watch it, flag it, or comment on it. As well as make your feelings known on this thread. I wont be commenting in any other SL property requiring FB participation. And for the moment Ive canceled my premium membership. Though Ill admit at this time Ive canceled because Ive at least temporarily lost interest in trying to create anything and just to peep around one does not need to pay. Wish I did have the time to create. anyway....Best regards to all. As an update for anyone who cares. Lindens response was to say what we already knew and to close the bug with little more than a shrug. In short, you will use facebook if you want to comment on anything on the SL website. I consider the response to be rather cold hearted. meaning Linden does not care if anyone is forced to use facebook in order to comment. its intentional and if you don't like it. Leave. 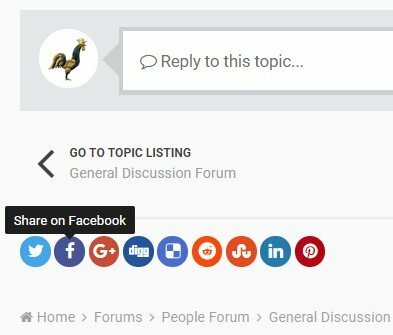 The entire commenting system uses a Facebook plugin; in fact, if your screenshots were slightly lower, you'd see a link stating "Facebook Comments Plugin" that has additional details! Thank you Whirley. Im sure your posts will be respected. I am following this one bug now. especially as mine was closed with rebuke and not care. Whirley IDK who you are but thank you for caring. and a high five to soft linden as well. Ive been with SL off and on since 2004. Even paid for a year I wasnt able to login due to health reasons. why? because I wanted to support SL. Its a place when Im well and have time Ive always enjoyed. but forcing facebook logins is a last straw. Im sure Ill peek in now and then. but I definitely wont be commenting on the website anymore and doubtful Ill renew premium. no more high-fives. Im sure it will be no loss to anyone but me. cest la vie. Selene I was not trying to insult you. I just meant go try to comment and see if you see the same thing I did (Ive noted that you now know what i meant). I definitely did not mean to make reference to your personal ability to comment to me (or anyone else). I am sorry I phrased that entirely wrong and it came out not at all what I meant to say. I respect your thoughts and feelings and would never try to insult you in the way that seemed to come across. Again, I only meant try it and see if you have same experience. I have on my RL fb acct. and I could not figure out how they knew I was into secondlife. I thought maybe they just picked up on cookies or something. But now I know I must have commented and it used my RL FB login for SL commenting (without me realizing it). And this would explain why my RL FB acct has been getting all kind of friend requests from what look like SL folks. Apparently this has been going on for years. I had no idea. and no I do not care that there was some disclaimer below the fold. I had no reason not to trust SL or to realize my comments were getting posted as RL self on an SL website. I totally expected that me logged into an SL website as tenly would be me tenly making a comment. To best of my knowledge no way to go back to check activity on an Sl website to remove comments. Once you are locked in you are locked in. Sorry if my replay came out on the harsh side. It wasn't really meant that way. LL can blow it out their collective @ss. I will never use FB to comment or log into any website. That's not going to change. It's their loss, not mine. If you don't want to link SL and Facebook, then don't. It's that simple. Don't fuss and fume and create JIRAs, just don't link it. I am blocked from the JIRA, so I don't know what the gist of this "bug report" is, but it's not a bug, it's a feature. You are not required to "like" these pages via Facebook and you don't have to for any reason. 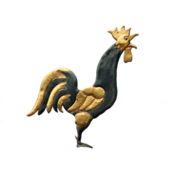 If you look at a lot of the sites on the Lindens' Destinations, they don't have any links at all, or very few, even if inworld, they have a lot of traffic. So it's not important. It's not how people express their actual "like" of something in SL. They have other ways. Inside SL, the way you do that is by making a landmark, sharing it inworld, or putting a place in your picks -- you can rotate them as you don't have that much space. If you somehow must go outside of SL to social media, you can make a Twitter account under your SL name (Twitter doesn't care about pseudonyms the way FB does) and post to that -- why do the "likes" on the Destination pages even matter? They don't. A few times over the years I've startled some of my RL friends when they see me liking some virtual thing they don't understand, but so what? SL isn't for everybody. @Prokofy Neva I believe the main point was "there's no other option on the page, only Facebook." Telling them to make Twitter account doesn't help either, because they want to use their SL account. I've burnt myself with other social media identities before. Fortunately, the error was to post under a pseudonymous Disqus account when I intended to use my RL identity -- so I was more private than intended. Point is, it's not only Facebook where one can blow one's own cover. That's merely the explicit association one may make unintentionally. I would be very surprised if tracking cookies haven't associated my RL and SL identities long ago. If advertisers (including political interests) could somehow benefit from such an association, we can be quite sure they'd have used Facebook's historically permissive data sharing to get all they could want and more. They've certainly used other associations to target messages very effectively. "Share" is not the same as posting a comment. -- just as ornamental as the ones on this page, because that's some Inception-class self-referential BS there, sharing a page of forums commentary about a social virtual world platform. God help me if my dog ever discovers such recursive tail-chasing. Yes, I get it that the particular social media welded to the "Destinations" page is Facebook and people don't want to link RL and SL. But if they still want to show their enthusiasm for a particular location, they don't have to use the Destinations mechanism for FB, they can manually go to Twitter where they can make an account with an SL name. And they can lobby the Lindens to add Twitter to the "like" mechanisms. The OP wants her own SL account on that page to be linked to the "like". But the Lindens don't care about that. They're here to sell pretty places not to inworld customers they already have, but to the external world. Well, that's ultimately the point. Destinations "likes" mean nothing. They aren't use. You are often the only one making that "like," I find. And even popular places have only a few likes, because of the FB link. So it doesn't matter to the inworld economy or inworld politics. If the Lindens made it so that your own SL account was all you needed to "like," probably an extensive work of programming customized to SL, so what? People STILL wouldn't use it. Because -- wait for it -- they don't use Destinations that much to start with. Just want to update the thread. while the guy in jira did not seem to care and closed the bug rudely (calls himself Shrike Linden) the lovely person who has been addressing my support ticket on this issue, Kit, did go above and beyond to let me know LL cares about all its residents and are looking into the issue. Ive been with Sl with one avatar or another since 2004. Ive sadly watched other grids come and go. In fact, a couple of my fav alternate grids, disappeared while I was in hospital this past year. I cant believe they are no longer there. Certainly hope SL is in a much safer harbor! Ive loved watching Sl change. For me SL has been part creative outlet (not as much time for that as Ive dreamt of), part fun fantasy (Ive loved the role play) and don't even take me to the market as I always have to have this or that! Holy moly Ive spent so much money in SL. Cuz ya know I gotta have this hairdo or that outfit that I could never in a million years make on my own. To me, SL is like an artists haven. Financially I come and go. But I sure hope SL goes on long after I pass away. A jewel for some other creative person to marvel at. I wont be commenting anywhere FB is required. Still peeved that there is no way to go and delete all the comments I have, inadvertently made, using my RL name. But Im happy to know they are looking at this seriously. I don't come to SL to be RL. Maybe you do. C'est la vie. You keep saying 'like' which is not what the original poster was saying. You keep refering to other options outside of the page, also not what was wanted. @Tenly is saying that to make any comment on the Destination Guide and ONLY that area of the website (as far as I know) you 'have to' log into Facebook to comment. Say the page suddenly started showing horrifying images or the words used were offensive, she cannot comment there so that it is seen because to do so she has to log into facebook which she only has her RL connected to. If they went down this road for all their pages, or even forums, it would be cutting out a large chunk of the user base. You have a fake facebook, she does not, many do not, they do not want to comment on the SL destination guide with their RL, because it could lead to their RL having opinions on their use of SL, or it could help people they do not like find them etc. So many reasons to not want to connect the two together. This has nothing to do with showing appreciation with a click, this has to do with not being able to use your words without adding a different medium (social media) this is about not staying within the parameters you feel comfortable with as your Second Life persona inside of the Second Life channels, they have taken her out of the world she has created and skidded right into making a public declaration of her usage. That is a bit rude, it is like buying on a website and them already having your message to Facebook set up to announce you just bought something, which Amazon does and which as an Aussie is a new thing to me and is gross. Bottom of the page - "Find us on". What they can do with cookies and their widgets is pretty invasive. It might not have been your actions. Firefox (the browser not Firestorm the SL viewer) has an add-on 'container' system which keeps some of those sorts of tracking devices contained. It's another way to seek a bit of protection.